Qualifying concluded on Saturday at Dome Valley’s 4th Annual Top Fuel Shootout. All of the top qualifiers from Friday were able to hang on through the final sessions. Dennis Rieck’s 2.25 from Friday held up to lead the Nitro-burning Top Fuelers. Dennis ran Low ET of the day with a 2.35. Rod Trower and Gary Mink had a great side-by-side pass in Top Alcohol qualifying where Rod got to the stripe first on a hole shot with a 2.51 to Gary’s 2.48. Rod would hang on to the top qualifying spot with his Friday 2.46. Rod’s wife, Dee stayed atop the Top Eliminator class qualifying list while Robert Skidmore (Fast Fours) and Marc Whitmore also earned top qualifying positions. The big winners in the bracket classes were Justin Adamson in the Open Pro class and Mark Ratliff in Motorcycle Open Pro. Both racers worked through very tough fields to take home the hardware. Other bracket winners on the day included Bill Meaney (Sportsman 1), Jhovany Cota (Sportsman 2), Mark Ratliff (Motorcycle Sportsman 1 and Motorcycle Gambler), and Grant Hutchinson (Motorcycle Sportsman 2). Day one of the 2013 sand drag racing season is in the books as the 4th Annual Top Fuel Shootout at Dome Valley Raceway kicked off. Dennis Rieck led the Nitro burners with a 2.252 at a booming 170MPH in the Hammer Down Hemi. The Oklahoma Trower Racing team led their respective categories as Rod Trower ran a great 2.46/138MPH in his Top Alcohol Dragster while Dee Trower led the Top Eliminator class with a 2.97. 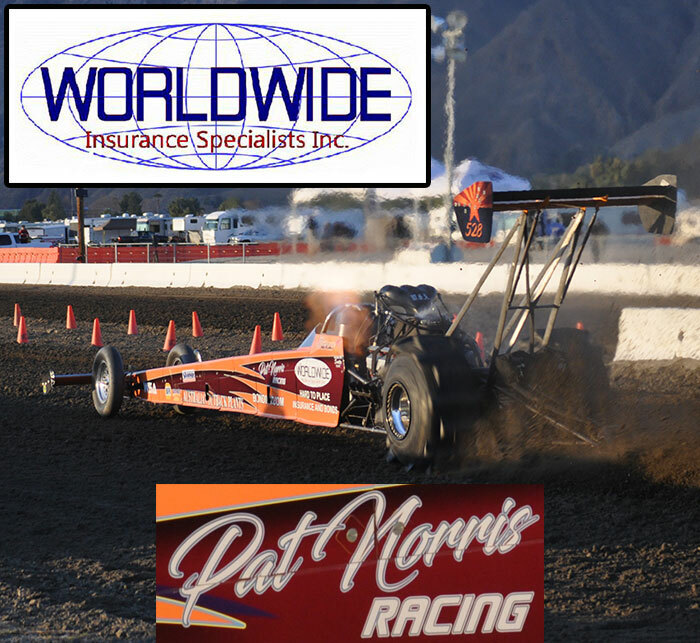 Other top qualifiers include Marc Whitmore in Pro Outlaw FE with a 3.06 and Robert Skidmore in Fast Fours with a 2.92. Chris Adamson won the big Pro Truck shootout defeating Charlie Johnson in a great final round to take the big bucks provided by Pro Truck Nationals & Richards Auto Parts. Other class winners on the day included Keith Ahart (Pro Shootout), Garrett Ratliff (Pro ATV), and Grant Hutchinson (Sportsman ATV). Racing action continues on at 8AM in the morning. Event Info <-- Click here for Event Details.